▶ Scaling Postgres: A Weekly Video Series — For almost six months now, experienced DBA Creston Jamison has been producing practical, weekly videos on working with Postgres. Triggers and Stored Function Basics — By bringing data manipulation code into stored functions on your database you can avoid duplicating code on the client side and standardize operations if multiple apps are hitting the same DB. This is a thorough guide to setting it up with triggers and stored functions. 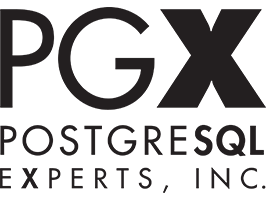 Because Your Data Is Your Business — PostgreSQL Experts provides full-stack support for PostgreSQL, including database tuning, emergency support, and remote DBA services, including 24x7 support. Setting Up a Fast, Comprehensive Search Routine with Postgres — One of the joys of working with Postgres is the ability to run full-text searches right out of the box. But how do you set this up? Batch Updates and Concurrency — A look at some considerations and helpful approaches for dealing with concurrency-related issues while doing large batch updates or data ingestion. Citus Introduces 'Landlord' for Per Tenant Stats — Citus is a Postgres extension well suited for distributed, multi-tenant apps and its new ‘landlord’ feature is designed to give maintainers per-tenant statistics. Oracle-PostgreSQL Sync 1.0: A Tool to Synchronize Oracle and Postgres Databases — A commercial Windows app (Linux supported via WINE) for bi-directional incremental synchronization of Oracle and Postgres databases.